Agnostida remains unsettled, if not contentious. The agnostids were mostly blind and exhibit a strong symmetry of cephalon and pygidium size, making it hard to distinguish front from rear. There are two Suborders. Members of Suborder Agnostina have two segments between the cephalon and pygidium, and lack sutures on the cephalon. In contrast, members of Suborder Eodiscina may have two or three body segments, and some have small eyes and proparian sutures ending forward of the genal angle. 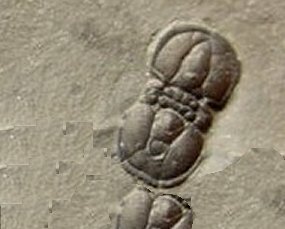 Among trilobites, the Agnostida are so relatively unusual that some researchers have suggested, based on meraspis phase larval limb structure differing markedly from what is prototypical for trilobites (Muller and Walossek, 1987), that one of the two suborders, Agnostina, should not be included in Class Trilobita; the Agnostina have been proposed as a stem group separately descended from Crustaceans. Such a conclusion would be premature, since fossils showing limbs from adults have yet to be discovered (Fortey, 2001). There has also been speculation that agnostids might be paedomorphic due to their superficial resemblance to the meraspis phase of some trilobites; this would suggest precocious sexual maturity, which could include retention of a larval limb structure. 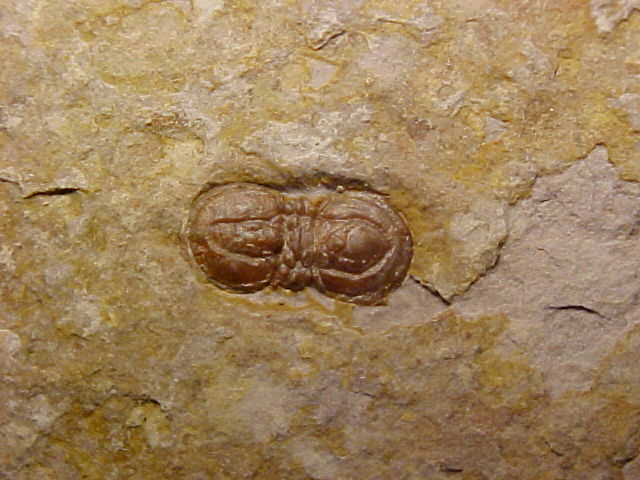 Jell (2003) proposes a progenesis from the Ellipsocephaloidea family of Order Ptychopariida as the origin of the members of Suborder Eodiscina, from which the Agnostina descended. Additionally, cladistic analysis (Cotton and Fortey, 2005) strongly supports the continued unification of Suborders Agnostina and Eodiscina as true trilobites based on exoskeleton morphology, despite an obvious specialized body plan. A highly widespread paleo-geographic dispersion was long considered consistent with a pelagic, planktonic lifestyle. In contrast, a lack of eyes in most species suggests a benthic lifestyle in deep, cold water on the ocean floor in minimal or no light where they fed on detritus. 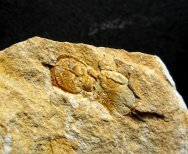 The agnostids are often found in dense mass mortality assemblages and in association with other benthic trilobites, particularly those of Order Ptychopariida. Additionally, their diminutive size, low mass and general morphology are hydrodynamically inconsistent with a swimming pelagic mode of life. 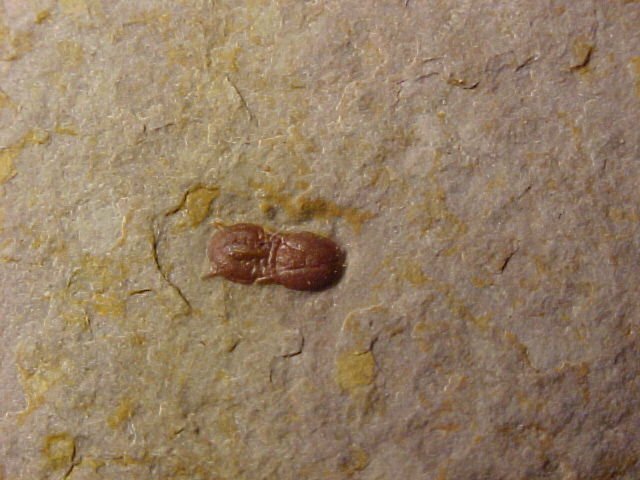 A weight of evidence tends to support that the Agnostida were benthic, but more data are needed; perhaps the little Agnostida made their living in different or multiple ways, depending on their age, or on the paleoenvironment where they lived.